Elan Northwoods Apartment Homes for rent in San Marcos, CA is a beautiful and quaint community located on 15 acres of lush landscaping. From the walking trails in the local hills to the unique dining and shopping opportunities in its retail centers, this community has all the ingredients to make living enjoyable. Elan Northwoods is minutes from downtown San Diego and the majestic shores of the beautiful Pacific Ocean. The Wave Waterpark, Boomers, and the Vista Entertainment Center are just a few attractions that are fun-filled activities for all. Our residents welcome the small-town suburban atmosphere while enjoying a vibrant and entertaining community. The community offers one and two bedroom, two bathroom apartment homes, each with a private enclosed garage, assigned parking space, central heating and air, vaulted ceilings, fully equipped gas kitchen and a balcony or patio, as well as three bedroom two bath homes with a washer and dryer and private backyard with landscaping service provided. The community boasts a sparkling swimming pool, two relaxing spas, two on-site laundry facilities, two basketball courts, several picnic areas with BBQ stations, and friendly on-site Staff with full-time emergency Maintenance to meet all your maintenance needs. ElÃ¡n Northwoods welcomes cats and dogs; please see our pet policy as some restrictions may apply. We are conveniently located south of Highway 78 and minutes from Interstate 15. Enjoy quality centers like Creekside Marketplace, Nordahl Center, Grand Plaza, and Old California Restaurant Row. These centers have become popular shopping and entertainment and dining destinations. Visit Southern California's famous attractions including LEGOLAND California, SeaWorld, Disneyland, and the world-famous San Diego Zoo. Our community is situated in the heart of North San Diego County and exhibits community theatres, music, and fine arts. 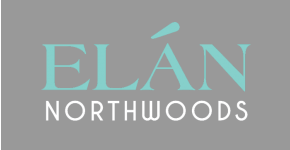 Your home at Elan Northwood awaits you.